Feedzai has teamed up with Money20/20 to bring the next iteration of Feedzai’s Frontier speaker series. Sir Richard Branson — legendary entrepreneur, philanthropist, and owner of of the Virgin portfolio of brands from airlines to the newest challenger bank in Europe — will join Feedzai CEO Nuno Sebastiao for a fireside chat on Money20/20’s keynote stage in Las Vegas, Oct. 22. VIP guests will get the once-in-a-lifetime opportunity to go backstage with Sir Branson for an exclusive small-group meet & greet. Those guests will also have the chance to sit in the front of the auditorium during the keynote, and will get a signed copy of Sir Branson’s 2018 expanded autobiography “Finding My Virginity”. Stop by the Feedzai Booth #1323 to see a live demo and get a chance to win Boss Headphones! In this extraordinary appearance, VIP guests will have direct access to Sir Richard Branson through a series of onsite engagements. Register today to see how you can be one of those lucky VIP attendees. Take a peek behind the Money20/20 curtains and enjoy cocktails, appetizers and the ultimate selfie opportunity with Sir Richard Branson. Invite Only – Limited spots available, complete the form below for consideration. Engage in meaningful conversations with fellow C-level executives complete with cocktail hour, a 3-course dinner and the company of Sir Richard Branson. Invite Only – C-level execs will be considered, send an email for consideration to [email protected]. Money20/20 and Feedzai are excited to announce the next iteration of the Feedzai Frontier speaker series featuring the legendary, Sir Richard Branson! He’s a world-renowned entrepreneur, philanthropist and Founder of the Virgin Group. Sir Richard has built a globally recognized brand spanning numerous consumer sectors including financial services where he has recently launched Virgin Money – the UK’s first true national competitor to the status quo. For a chance to sit in the VIP section of the auditorium, or potentially even go backstage with Sir Branson, fill out the form below! Feedzai’s AI Deep Dive Global Series has brought together some of the most prominent artificial intelligence (AI) builders and thought leaders, like Stephen Hawking and many more, to tens of thousands of audience members worldwide. 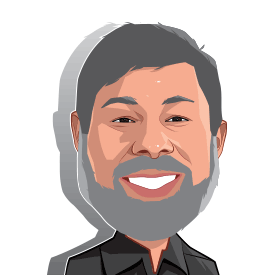 At Money20/20 Europe, you have the chance to sit front and center hearing from Steve Wozniak and the rest of the powerful line up. VIP guests will receive exclusive event swag such as signed books, water bottles, and more. For your chance to be part of the 150 VIP guests sitting in the front rows of AI Deep Dive (both in the theater and the main stage room) along with exclusive event swag, sign up below! Guests of the AI Deep Dive VIP section and visitors to the Feedzai booth will have a chance to submit their raffle card for a chance to win one of three recently released Apple HomePods. Drawings for the luxury personal assistant speakers will happen every day of the show, so get your raffle cards for your chance to win! Can’t wait to sign up at the show? Early entries also welcome – submit an entry online.